Wedding planners are an enigma, not only to engaged couples, but even to other wedding vendors. Because we as wedding planners get to choose how we do our jobs and which services we deliver, there are no true standards for what a wedding planner will deliver – or how. Plus, until you’ve had the experience of working with a planner, you may not realize what we do. I had a vendor help me as an assistant on wedding day once. In her side of business, she created a product that she provided for wedding day, so she was typically on site for a small portion of set up, but not the entire wedding. After watching our team work the wedding day, she told me that while she had been aware of what had to happen on wedding day before, she had never realized how much work it was for us to make it all happen seamlessly on wedding day. So, how do wedding planners work? 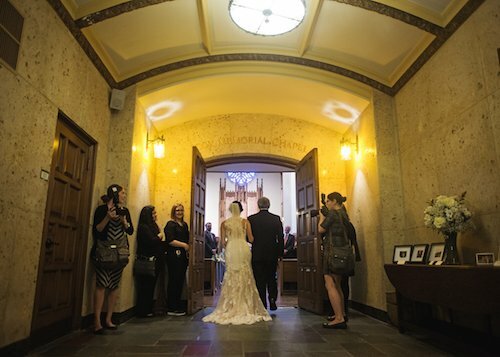 Experience and education: While wedding planning may not be considered rocket science, one might consider it an art form. Wedding planners use their education, experience and instincts to help pull together the vision, the dream team and all the pieces of the puzzle to make your wedding day happen exactly as you wanted it. Experience allows us to not only maintain a list of preferred vendors, but also to recognize which vendor is going to match up with you in the best possible way. Realizing the vision: We rely on our skills of reading people to know what textures of linen, floral and other design elements would fit into the vision you have in your head for wedding day, showing you these options instead of just sending you a catalog to look through. We use our people skills to manage the team you’ve hired for your wedding day, making sure they all have what they need to execute plans correctly, such as timing the cake delivery at the same time as the floral set up so the floral accents you want on the cake are placed perfectly. Talking is good: Throughout the planning process, we use our communication skills to listen to you, your family and sometimes your friends at our meetings, educating everyone on what is typical, what options there are, and what costs are involved to help you set priorities. We sometimes have to navigate family dynamics with you, working through emotional highs and lows as we plan special moments like who escorts you down the aisle, who is seated where at the ceremony and reception, who gives a toast and who doesn’t, and arranging special dances with your loved ones. We help you communicate your wants and needs to your vendors, describing to them the level of detail you need, but didn’t know how to articulate. Catching the small stuff: We’re there to make sure no stone is left un-turned and no item is missed on the mental checklist we carry from doing this many times over, proposing ideas and asking questions about things you have not even though of yet. We make sure all the hidden details are thought of, decided on and carried out on wedding day. So what does this all boil down to? Peace of mind. You are ultimately hiring a wedding planner for peace of mind. Whether you are engaging the services of a planner to execute your wedding day so you and your family don’t have to work that day, or you are looking for guidance throughout the planning process to keep you on budget and make sure you don’t miss anything, you are looking for peace of mind. To do that, you need to find the perfect planner for YOU. When Should I Hire a Wedding Planner? The simplest answer to this is the earlier, the better, regardless as to what you are hiring a planner for. Budgeting: If you are hiring a planner to help with budgeting, obviously you want to hire them before making decisions that affect your budget, like selecting a venue. Your planner can also guide you in prioritizing how you appropriate your budget, making sure the amounts are realistic and reflective of what you want. Your guest list will also impact your spending, and an experienced planner can aid in creating a suitable guest list for the scope of your budget. But I only need a little help…: If hiring a planner for wedding day management, they may also recommend vendors for you, so hiring them earlier allows you to take advantage of their vendor recommendations, before hiring those that may not be the best fit. Sold out! : Hiring a planner sooner rather than later ensures that they are available for your date! The earlier you start looking, the more options you’ll have, which applies to most wedding vendors in general. So how early is too early? Well, we recommend waiting until you are less than two years out, but no less than 12 months out for a planner to help you throughout the process. For planners to help with managing your wedding day, somewhere between 6-12 months is ideal, but definitely no more than 12 months out. Some planners will not allow you to book smaller packages so far in advance, so just make sure to check with them. How Do I Hire a Wedding Planner? What’s your price? : I’m sure you’ve heard the saying “You get what you pay for” and this applies to planners as well. You can find planners from $500 – $15,000, easily. Consider talking to 2-3 planners for the same type of service and get a general idea of what the market price is for this service in your area. Those that charge on the lowest side of the scale may be new to their craft, charging less because this is a side business, or only deliver a small percentage of the services you need. Those that are on the high end of the scale are probably the most experienced and work with clients that have a higher budget. 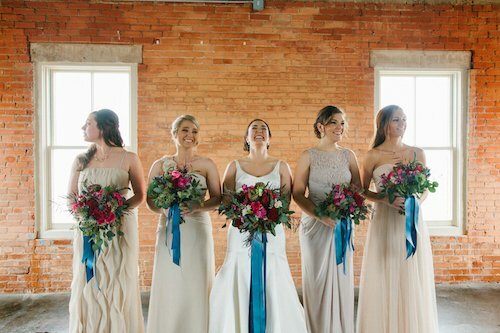 Your planner should fit into your wedding budget, yes, but consider the value of the services each planner provides, whether or not their price make sense compared to the market, and if they actually offer what you want. How do they package their services? : Planners package their services in different ways, so sometimes it’s hard to compare apples-to-apples. However, you need to look at what you specifically need help with, then what services make sense based on that. Design is a great example, because planners tend to handle design in different ways. If design consistency and/or creation is imperative, it might serve you better to have a planner that not only creates a design board for you, but also handles appointments with vendors creating that design, like the florist. This allows your planner to supervise the design process, so that they can make sure that design is carried through the way you want. If your wedding is at a venue that allows you to be there all day, and you have many DIY projects you need your planner to help set up, it may not make sense to choose someone who only allots a certain amount of hours on wedding day. Choosing someone with unlimited hours on wedding day removes the stress about keeping to a time limit. What’s their personality like? : This is someone you are partnering with to make your wedding day happen the way YOU envision it. They need to be able to “get” you and your vision. You also need to get along well and communicate well. Your planner is someone you will see throughout the planning process, spending quite a bit of time together in meetings as well as on your wedding day. Definitely meet with them before hiring so you can get a feel for who they are and if you’ll work well together, not just to talk about their services and price. What’s your education? : Wedding planner training courses are abundant now and while the best ones are not inexpensive, they are certainly attainable and worth the investment. If a planner has had no training, and doesn’t attend any type of continuing education, it’s usually a sign that they aren’t as invested in becoming a professional planner. What’s your experience? : This is a tricky question! So many planners were drawn to planning and organizing events before they started their professional career and they often will include their amateur time in their experience of X years they quote on their website. While planning events as a hobby is experience, this is nothing compared to planning an event for a client. Also, longevity is not equivalent to quantity. Thus, someone who has 10 years experience may have planned 5 weddings professionally, but someone of 5 years experience may have planned 100 weddings. Ask how many events they’ve planned, not just how long they’ve been planning. You can check their reviews to see how many they have and how long they’ve had reviews. Someone who is new to the craft doesn’t mean they are bad at what they do, it means they may not have the experience to handle certain issues, ask specific questions, or predict outcomes accurately. Lastly, small businesses struggle to make it past 5 years. (The rate of closure is close to 80-90%.) Choosing someone who has made it past this benchmark increases your chance of them staying in business for your wedding and having continuity throughout the process. It’s not a guarantee, but it is a consideration. We hope you find these tips useful in evaluating planners for your wedding. We would love to answer all these questions for you if you’d like to meet and discuss your wedding with us! Please contact us today so we can see if we are a great fit! Excellent article! This is really sound advice for brides. I think you’re right, wedding planners & coordinators are an enigma. Usually behind-the-scenes, making everything flow so smoothly… on wedding day, the regular person sees no smoke, no fires and doesn’t realize it’s because you’ve been there the whole time putting them out. 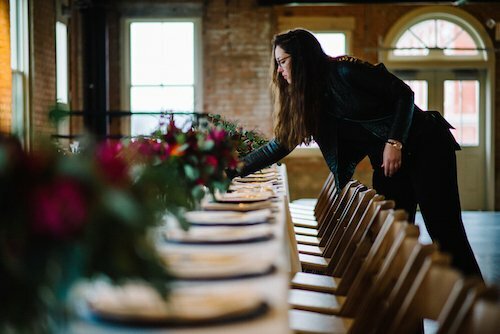 When we receive wedding details from our clients, it’s always a wave of relief to have the Each & Every Detail Team listed as the coordinators; we know it’s going to be perfect!